More than anything else, Jack Palagan’s script tries to tell a love story, one that breaks through the boundaries of life, death, and biology. The film wants to ask a series of big important questions about what it means to be human, what makes us who we are, are we more than just the sum of our parts, and many others. That ambition is admirable, more films should strive for goals like this, but this is also the source of its greatest failing. While Transcendence proposes all of these ideas—you can tell Pfister has spent a fair amount of time with Nolan, who also produced the film, because he tries to fit everything into this film—it overreaches and never digs into any one of these topics. In this way you realize that this is very much a first feature, where the filmmaker has all of these wonderful ideas, but not necessarily the necessary skill or experience to pull them off. 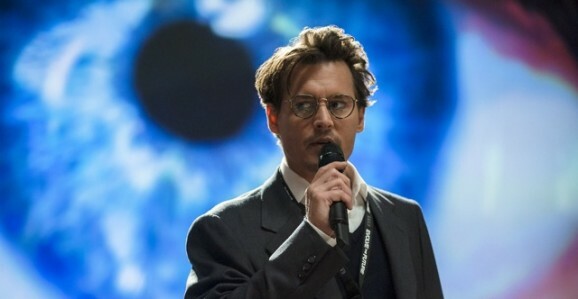 Transcendence revolves around artificial intelligence, a field where Dr. Will Caster (Johnny Depp) is at the forefront. On the verge of making a huge advance, a radical anti-technology group called Revolutionary Independence From Technology (RIFT) attempts to assassinate him. 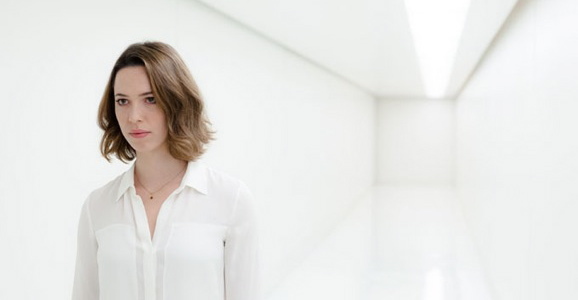 As his body dies, his wife Evelyn (Rebecca Hall) and his best friend Max (Paul Bettany), in a last ditch effort, upload his consciousness into an AI supercomputer. Free from his mortal bonds, his thirst for knowledge and power expands exponentially, until he’s damn near god-like—healing the sick, curing blindness, you know, god stuff. AI inherently involves a number of big moral and philosophical questions, which are reduced to the simplest, most basic components. The discussion never moves beyond the question of can you prove that you’re self-aware? Just posing a question doesn’t do anything if you don’t attempt to explore it any further than that. You obviously can’t get into the specific science in a two-hour movie, so bundles of wire, computer monitors, and an impressive array of gadgets and gizmos that look vaguely ominous, represent the technology in the story. And then all of a sudden there are nanobots everywhere, like in the dirt and the rain. That’s convenient, not to mention one of multiple jarring narrative leaps that leave you with a question mark practically written on your face. The most interesting part of the story is set up in the conflict between the three main characters. Each one has a distinct point of view, and the interplay between them could have been interesting and driven the film thematically. Evelyn wants to use technology to address social problems and make the world a better place. Will doesn’t want to fix the world, he’ll settle for understanding it. For his part, Max preaches wariness, caution, and patience. Instead, this, too, is glossed over and pushed aside. Under normal circumstances, Max reins in his the blind forward press of his friends, but this is discarded early on by the dire necessity of Will’s situation, and that’s all there it to that. From this point Transcendence becomes a series of spectacles where you’re supposed to marvel at what computer Will can do now. I’ve made this joke before, but it really is like a classed-up version of Lawnmower Man. A bout of hysterics over Will’s situation is one-note, but Hall’s growing unease with his increasing capabilities is done well. Bettany has even less to do, but still manages to ground Max, subtly pining for the unavailable Evelyn. It isn’t much, but they’re both as good as the can be given what they had to work with. Like everything else about the movie, you skip across the very surface like a flat rock. And Depp doesn’t help matters at all. He comes across as completely disinterested, and you feel like he only showed up to repay a favor. Transcendence is big and ambitious and pretty to look at, but even Pfister’s often striking visuals can’t hide the emptiness inside. The film meanders around, neither the tech nor anti-tech constituents making any particularly interesting arguments, and fails to address the issues at hand in any substantial way. And isn’t exploring big, new ideas what sci-fi is supposed to be all about? Pfister has all the potential in the world as a director, but you have to hope that the next time out he opts for a better script. Another bird on the head movie.